Yogini Kaliji, founder of TriYoga, Visits Central PA! 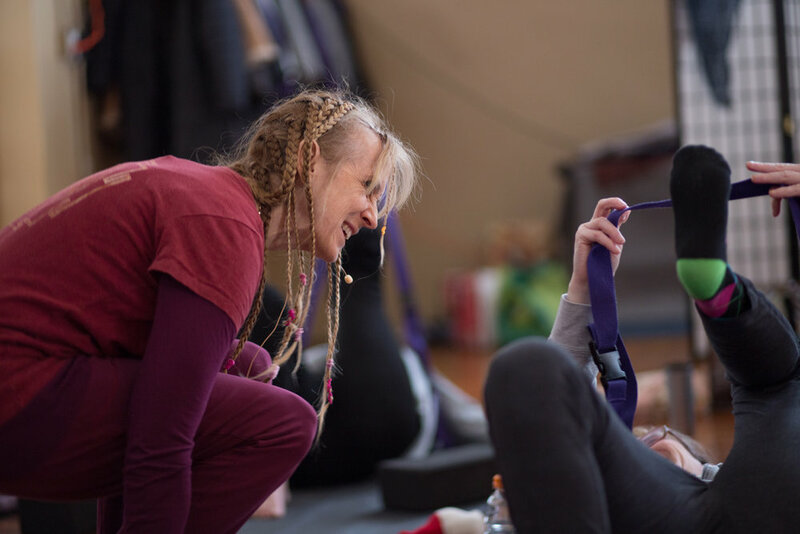 We welcome TriYoga founder Yogini Kaliji for a weekend of flows, philosophy and fun. Join us for as much as your schedule allows. Register for all classes with Kaliji through TriYoga International. Register for the free Saturday evening Satsanga here. Join us in Boalsburg as Kaliji shares the timeless truth inherent in yoga philosophy. All are welcome. E-mail info (at) pennsylvaniayoga.com for lodging information.